Yahoo! Inc. has announced a new feature that will allow users of its Messenger chat service to share videos, in the latest attempt to claw back lost ground in an intensely competitive market dominated by the likes of Facebook and Google. The new feature comes after Yahoo's long run as an independent company came to an end in July when it agreed to be acquired by Verizon Communications Inc. in a $4.83 billion deal. The video-sharing feature is not path-breaking as competitors have rolled out similar offerings long ago. "With stiff competition from other existing messenger apps such as Skype, WhatsApp and Facebook Messenger offering the same feature, Yahoo Messenger is trying to catch up and stay in the game in the very crowded market," said Vishal Tripathi, research director at research firm Gartner. Yahoo's video sharing feature works similar to its photo sharing feature. The new feature will allow users to share videos both one-on-one and in group conversations. However, the biggest drawback is that Yahoo has kept the video duration to a minute. 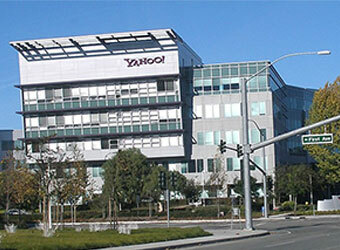 Tripathi said Yahoo must re-look this one-minute cap as its competitors allow sharing of longer-duration videos. "It's important for Yahoo to reinvent and come up with more innovative features if it wants to stay ahead of competition and win some market share back," he added. This is at least the second update to the Messenger that Yahoo has unveiled in recent months. In July, days before the deal with Verizon, Yahoo updated the desktop app for the Messenger. The upgrade allowed users to share photos and animated GIFs. It also allowed users to say if they liked the images or posts. Yahoo had launched the Messenger as an instant desktop messaging app in 1998. However, the service saw a decline in user base with the rise of offerings such as Google Talk and platforms such as Facebook Messenger, WeChat, WhatsApp and Viber. Yahoo launched the Messenger app in December last year in an attempt to revive the service but it has struggled to make its mark.